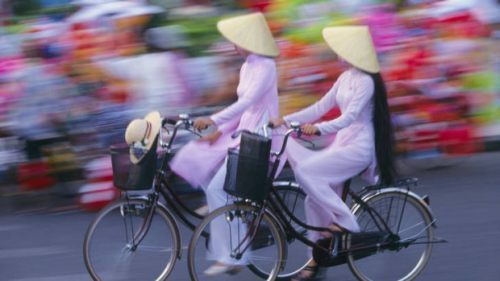 Air China has dropped the price of their flights from Calgary to Ho Chi Minh City, Vietnam down to $627 CAD roundtrip including taxes. 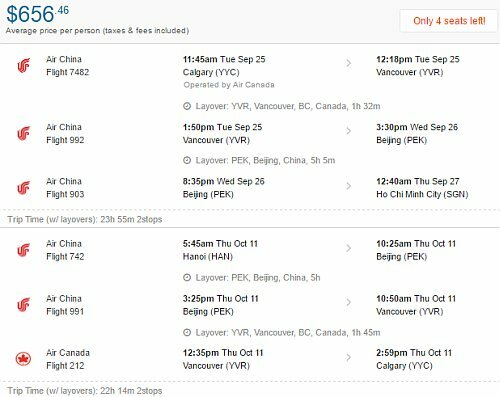 The flights have a stop in Vancouver and Beijing, China - each way (the longest layover is about 4 hours). 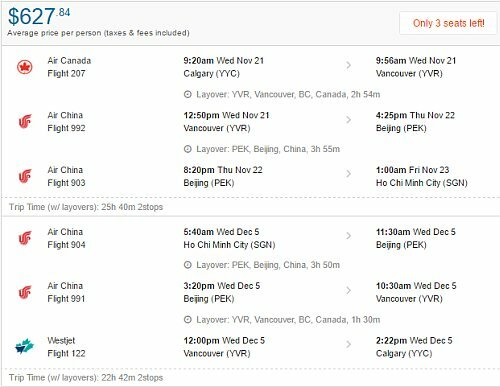 Calgary to Ho Chi Minh City, Vietnam - $791 CAD roundtrip including taxes | new record! calgary, yyc, flight deals, asia, southeast asia, vietnam, sgn, ho chi minh city and air china.